The JOBS Act of 2012 was a momentous event. President Obama opened the floodgates for the general solicitation of securities; specifically, real estate securities. In an unprecedented and unanticipated fashion, crowdfunding exploded onto the real estate scene. With this cash infusion, Millennials migrated to the industry with little or no knowledge of real estate but were armed with code writing, web site design, SEO and PPC marketing talent. A few adapted to the needs of the industry and grew through their integration of the technology piece with the artistry of the customer service piece. Those groups who failed to assimilate to the needs of the Real Estate Industry were relegated to obscurity. With or without the passage of the JOBS Act, the singular basis to real estate crowdfunding is still real estate investing. An investment company or real estate group can have all the shiny bells & whistles, but the business decision comes down to one question; how solid is the opportunity? In 5 short years, crowdfunding has grown exponentially and so have the opportunities. Several top tier companies have had great success, with valuations in the tens of millions of dollars, having grown from a twinkle in one's eye to a Wall Street Phenom, seemingly, overnight. Things move quickly in Business, for better or for worse. Faster technological advances lead to industry saturation of Data, a lack of innovative ideas, due to over-dependence on technology, and eventually, a loss of demand and enthusiasm. Technology that was once an industry disruptor, or game-changer, has now become a lifeless, boring bot of quasi-digital technology. Interestingly, the original premise of crowdfunding was to replace the REIT's of the world with the ability to invest shoulder-to-shoulder in geo and asset specific opportunities. Now we have "eRIET's". The industry has gone traditional with compliance officers, fees on top of fees, Broker-Dealers, etc. etc. The opportunity to up its game was lost on Wall Street, too busy with the grind; always chasing the next quarter's P & L. They were too focused on the profits, took their eye off the ball and forgot about the sponsors and investors. They forgot how the customer service experience and satisfaction is tied to profitability. Technology has grown far beyond the digitization of 5 years ago, as presented on crowdfunding sites. It is time to adapt or die. It is time to innovate once again. Welcome.....Systems of Intelligence...... Artificial Intelligence (AI). It is here and now. It is what drives Amazon, Netflix, Facebook and Google. AI knows before you know. It aggregates trillions of data points and correlates them into an instant outcome for your enjoyment. AI is used in healthcare, insurance, manufacturing; almost every industry except CRE. Why? Because we have an Industrial-Era mindset and culture. We still work with Excel and HP 12-C's. We still think real estate is an art when it can become a science. A science driven by Artificial Intelligence. Enter RealtyeVest's White Label platform: eVest Technology. It has taken RealtyeVest's crowdfunding technology and injected it with steroids. 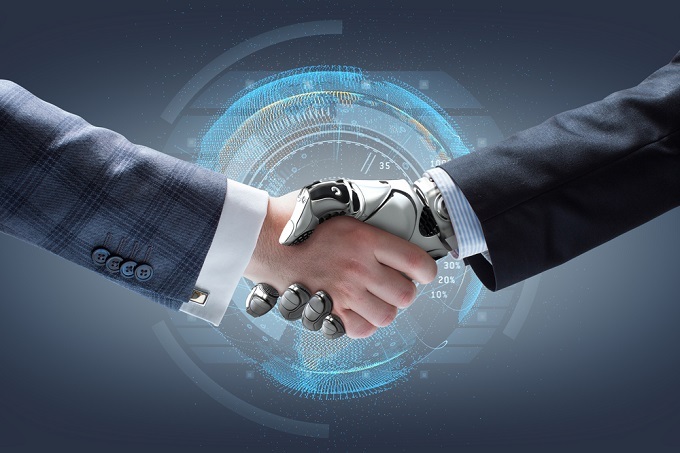 Not only has it introduced public facing design, with financial modeling, automated accounting and a real-time CRM dashboard, but now, for the first time ever, it is presenting an AI tool for use by both the Sponsor and the Investor. Developing and scoring probabilities for successful investing is no longer a dream, ripped from the pages of The Sci-Fi genre. It is front and center with eVest Technology. Utilizing algorithms, eVest has designed software to aggregate Big Data and develop correlations to generate a specific outcome. Sponsors can now make acquisition decisions based on science and statistics. Investors gain peace of mind, knowing that Sponsors are utilizing this data-centric decision-making process. Welcome to the Fourth Industrial Revolution: eVest Technology. Summers heralds from Chicago's Southside and began his CRE career in its downtown. In 1992, he founded a Pittsburgh based real estate investment firm and grew it to 150 employees before underwriting its IPO in 1999. Subsequently, Summers moved to FL and partnered with several Wall Street ex-pats and began buying multifamily. In 2012, the JOBS Act was passed and opened the floodgates for crowdfunding. Summers never turned back and built RealtyeVest with its own proprietary technology which he is now licensing together with financial modelling and predictive services.